ABOUT OUR WORKING ENVIRONMENT & REMUNERATION. 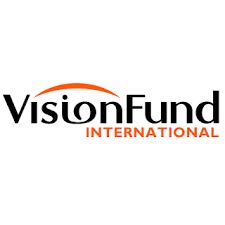 Vision Fund Tanzania Microfinance Bank has a calm and harmonious working environment where staffs are highly valued. Good work is recognized and rewarded accordingly and there is an opportunity to grow professionally and spiritually..
Recovery of bad/written off loans. Collects and recovers written off loans. Coordinates the recovery and sales of collateral. Collects outstanding non-performing loans of the past 90 days. This position is responsible for assisting the Head of People & Culture in facilitating staff compensation and reward system. Vision Fund Tanzania Microfinance Bank has a calm and harmonious working environment where staffs are highly valued. Good work is recognized and rewarded accordingly and there is an opportunity to grow professionally and spiritually. University degree Human Resources Management, Public Administration or Law from a reputable university. Application letters stating the position applied with photocopies of certificates and CVs with three referees should be sent EITHER online to [email protected].co.tz OR through the postal address below. The Chief Executive Officer, VisionFund Tanzania Microfinance Bank Limited P. O. Box 1546, Arusha. Disclaimer VisionFund Tanzania Microfinance Bank would like to announce to the general public that it has not engaged any consultant/agent to conduct recruitment on its behalf Apply before 30th April, 2019.